Once upon a time, chrysotile or white asbestos was believed to be safer than other types of asbestos. Earlier scientific studies supported by asbestos lobbyists believe that white asbestos is less hazardous. But a new study indicates otherwise. Richard Kradin, MD, of the Massachusetts General Hospital studied 62 people with peritoneal mesothelioma and found out that one-fourth of them were attributed to chrysotile asbestos. Below are five things you need to be informed about white asbestos. 1. Chrysotile is a common building material. Chrysotile or white asbestos is the most commonly used kind of asbestos so much so that it is in walls, floors, ceilings, and roofs of homes and buildings. Chrysotile asbestos is used in many different kinds of building materials such as vinyl tiles, roofing, insulation, fireproofing, cement, drywall, gaskets, adhesives and brake pads. The US and Canada were once the major producers of white asbestos. 2. Chrysotile is not a ‘safe’ asbestos. Chrysotile which can be found naturally have trace amounts of amphibole types of asbestos makes it more toxic. Chrysotile asbestos fibers alone are dangerous enough to bring about a life-threatening sickness. That is why health experts say that white asbestos should be treated with the same caution as the other types of asbestos. Even if white asbestos is the most abundant form and believed to be the “safer” one, the World Health Organization recommends to stop using all asbestos types to avoid having asbestos illnesses such as mesothelioma. 3. Chrysotile is a probable cause of mesothelioma. over extended periods of time. 4. Chrysotile exposure can be unhealthy. Some people may be briefly exposed to white asbestos but easily develop mesothelioma. The reason for this is not yet known, so it is most important to keep exposure to asbestos at its lowest. Asbestos can make its way into the body through the mouth or lungs and get stuck in the membrane of organs, in the case of peritoneal mesothelioma – the stomach membrane. 5. Chrysotile second-hand exposure is also life-threatening. In the new study that was conducted, health records of 62 persons with peritoneal mesothelioma were considered. It was determined that 26% of the cases were caused by exposure to white asbestos. Also, from those who had second-hand exposure in the study, half had been exclusively exposed to white asbestos. The results could mean that chrysotile is capable of causing mesothelioma as the other asbestos types. It should also be noted that the victims of secondhand exposure to asbestos are usually the wives and children of the men who used to work with asbestos. It had been observed in past studies that long-term exposure to asbestos of any kind gives more possibility of developing mesothelioma but even a brief exposure is not essentially safe. 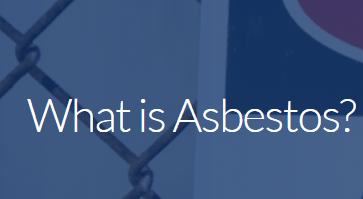 Consequently, white asbestos or any asbestos should simply be avoided as they are considered to be cancer-causing and potential causes of mesothelioma.